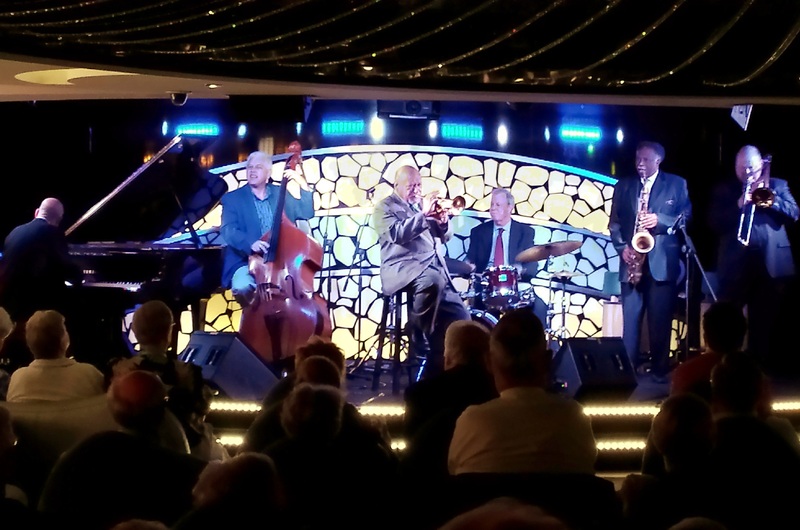 Live bands perform classic and modern jazz on an MSC Jazz cruise. Wine tastings are popular on Goumet river cruises with AmaWaterways in Europe. Carnival Vista features "America Rocks" as part of its musical entertainment. When my family boarded Royal Caribbean’s Freedom of the Seas for a Caribbean cruise with dozens of passengers wearing black leather and chains, we didn’t yet realize that 1,850 shipmates were sailing on the themed High Seas Rally cruise for motorcycle enthusiasts. Fortunately, today’s megaships are big enough to accommodate a variety of passenger interests. The trade association CLIA expects 24 million passengers to sail in 2016, and many major cruise and river cruise lines have found that themed cruises are a good way to fill shoulder season departures, charge a premium, and give first-time cruisers a reason to come aboard. Themed itineraries cater to passions for cooking or fine wines, visual arts to history, rock music to synthesizers and computer-generated imagery. And of course, there are people passions. River cruises are one segment of the cruise industry that has jumped keel first into the family vacation market, designing classic European cruise itineraries with grandparent-friendly port calls. Tauck, Uniworld and AMA Waterways are leaders; the latter has partnered with Adventures by Disney to offer Christmas Market-themed sailings and is building a new river cruiser to accommodate the need for connecting cabins and big suites. Royal Caribbean, in another example, works with Atlantis Events, the largest organizer of LGBTQ themed cruises. To celebrate their 25th anniversary, the new Anthem of the Seas will sail with 4,200 gay passengers (an estimated 5 percent will be women) round trip from Port Elizabeth, New Jersey to the Bahamas. In addition to the ship’s extraordinary range of activities (sky diving simulator, bumper cars, Broadway musicals, rock climbing, aerial lookout, robot-manned bar, surf simulator and more), Atlantis Events programs nightly dance parties on deck, a nightclub, and gay and lesbian entertainers on board. History buffs look to the transatlantic Cunard Cruise Lines, home to the Queen Mary 2, Queen Elizabeth and Queen Victoria. These cruises are popular for multigenerational vacations because there’s plenty of time to bond at sea on the typical transatlantic crossing. Parents appreciate the gourmet dining, and British nannies aboard can be booked for private childcare. In the next year, three themed Cunard specialty cruises will take place: a “Transatlantic Fashion Week” voyage in September that coincides with the 2016 New York Fashion Week; a “British Isles Culinary Discovery” sailing with chefs and food critics in June, and “Jazz at Sea” transatlantic crossings where like-minded travelers have an opportunity to stalk artists such as the Grammy Award-winning jazz pianist Herbie Hancock, who sail with you over the pond. Uniworld themed river cruises include the Monarch Collection itineraries, where guests learn all about royalty at ports of call. Connoisseur Cruises featuring guest lecturers specializing in food and wine serve different dishes and wine pairings each day to reflect the current destination. Of course, passengers who select a cruise based on the destination also benefit from extra onboard theming, and Alaska is one popular destination where that’s widely available. Princess Cruises, for example, offers unique excursions such as panning for gold and inviting sled dog puppies aboard ship. The enhanced “North to Alaska” theme includes National Park Rangers on board to talk about Glacier Bay -– and sign kids up as Junior Rangers -– as they sail through the park’s waters. A small cruise line like Paul Gauguin Cruises is, by its nature and its Polynesia routing, highly themed. Among the most interesting and unusual itineraries are those hosted by Jean Michel Cousteau, the renowned oceanographic explorer, environmentalist and educator who has sailed with the cruise line, introducing guests to the undersea world and taking them on special dive expeditions, for the past 14 years. His Ambassadors of the Environment program for ages 9 to 17 runs on summer and holiday departures and is famous for its educational value. Costa Cruises is an Italian-based company that teamed up with tour operator Central Holidays to offer 10 themed Costa Cruise Tours (three nights on land in Italy plus one-week cruise) through November 2016. Picture a city visit to markets in Orvieto, to gather ingredients for an Umbrian cooking class on a “Food Lovers Tour” or 10 days spent with other lovers of shopping, music, art, history or romance on themed vacations that begin in Venice, Rome or Milan. Beer and wine themes are common on European river cruises, yet a few sailings each season cover historical or cultural issues. At Avalon Waterways, for example, the six sailings of a “Jewish Heritage” tour along the Danube from Budapest to Prague, include important religious monuments, museums, and a shore excursion to the Jewish ghetto of Terezin. A noted historian sails the entire cruise, with local experts doing evening lectures in certain ports. 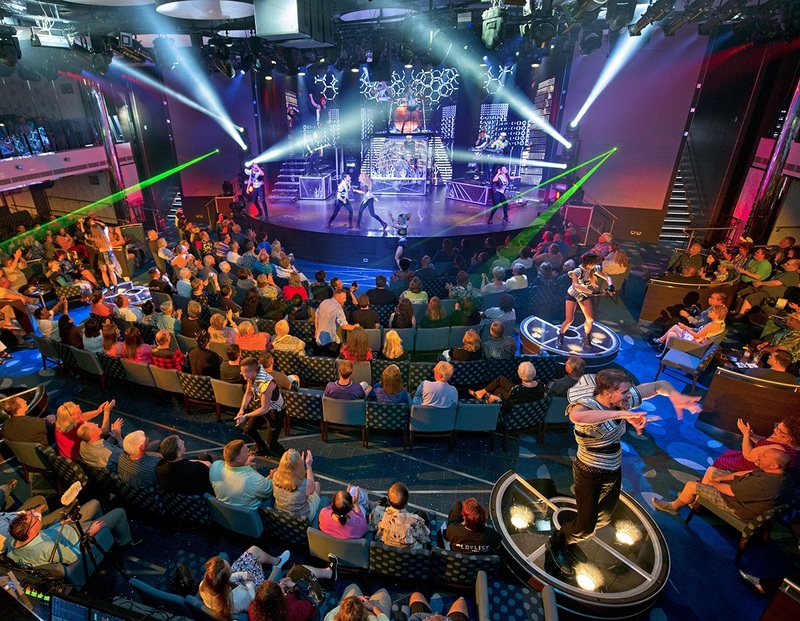 Music is a favorite subject for themed cruises, covering every taste from Broadway musicals (organized by Playbill) to rock n’ roll (Sixth Man Cruises is a leader in this area) to the special Carnival Cruise ships that feature a CarnivalLIVE performance by a famous artist or comedian on one night of the cruise. Are you contemplating a “Holistic Holiday at Sea?” According to the company who organizes these themed cruises, A Taste of Health, the appetite for healthy eating has grown from about 350 passengers five years ago, to an expected 1,800 guests who will experience days filled with yoga, lectures, Pilates, Zumba or meditation sessions aboard MSC Divina in March 2017. The program includes 35 speakers and 25 chefs covering everything from cancer cures, to macrobiotic cooking classes, to integrating healthy activities into everyday life. Continuing education classes are also available at sea through the University of Miami-Medicine for doctors in the medical and holistic lifestyle fields. Is your passion cruising? Silversea has created a special “Bridge Cruise,” and we don’t mean a cruise for passengers who want to inspect where the ship’s captain commands his crew. Instead, aboard the luxury line’s transatlantic sailing from Barcelona to Fort Lauderdale, guests can compete to win prizes in a bridge tournament. One of the “Silversea Exclusively Yours – Enriched Voyages” collection, the themed cruise promises American Contract Bridge League life masters to lead seminars and games, and opportunities to play against other bridge devotees. in which guests can earn ACBL master points, attend seminars, and meet other bridge players from around the world.